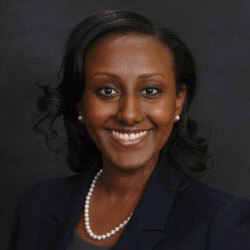 Jessica Assefa has been the Manager of the Medicare Star Ratings program for UCare,an independent, nonprofit health plan that provides coverage to Minnesotans, for the past two years. Prior to this Jessica served on UCare's Clinical Compliance team where she was responsible for the trainingand oversight of UCare's delegated care coordination entities. In her current roll, Jessica has responsibility for the facilitation and coordination of the Star Ratings program for UCare's four Medicare Advantage and Dual Eligible products..UCare's Medicare Advantage product, UCare for Seniors rated "Excellent" by NCQA, has maintained a 4.5 Star Rating, and is very close to becoming a 5 Star plan. UCare's Medicare portfolio also includes: Minnesota Senior Health Options (MSHO), a D-SNP plan that combines Medicare and Medical Assistance benefits/services for low income Seniors, EssentiaCare - a Medicare Advantage plan from Essentia Health (a local care system) and UCare, andUCare Connect + Medicare - (Special Needs Basic Care) a plan that combines the benefits/services of Medicare and Medical Assistance for Minnesotans with certified disabilities ages 18 to 64. In addition to her managed care experience, Jessica brings over 20 years of nursing experience in the states of MN, IN and NY working extensively with the geriatric and disabled populations. 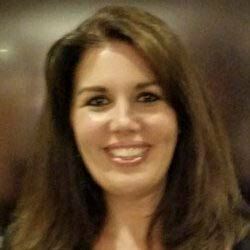 Patricia Barrett joined NCQA in 2008 as the Vice President for Product Development and Policy. In this role, she is responsible for exploring new product concepts and evolving existing products to meet the needs of a changing health care environment. She also ensures proper development, communication and interpretation of NCQA Accreditation standards, HEDIS measures and Survey Vendor Certification. 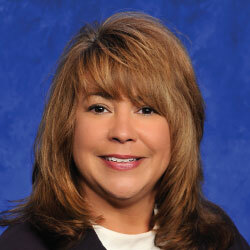 Prior to joining NCQA, Ms. Barrett was the lead consultant for General Motors on managed care. As HAP Associate Vice President and the Program Director for the HAP/GM Managed Care Consulting Team, she was responsible for evaluating the quality and efficiency of GM's managed care offerings nationally and for establishing supplier development activities with all of GM's HMOs. In this role, she participated on the NCQA Purchaser Advisory Council, the National Business Coalition on Health eValue8 Steering Committee and served as an author and scorer for the eValue8 RFI. Ms. Barrett joined Health Alliance Plan (HAP) in Detroit, Mich. as an Analyst in the Quality Management Department in 1993. During her 14 years with HAP she served in a variety of roles including Manager of Research, Analysis and Program Development, Acting Director of Managed Care Information and Director of Quality Management. As Director of QM, she had responsibility for all clinical quality improvement and disease management programs as well as HEDIS production and NCQA accreditation for the organization as a whole. In addition, Ms. Barrett was a member of the NCQA HEDIS Policy Panel and served as the Chairperson for the Measurement Committee of the Michigan Quality Improvement Consortium (MQIC). Ms. Barrett attended the University of Michigan receiving her Bachelors degree in Sociology and a Masters Degree in Health Services Administration from the School of Public Health. Dr. Beckjord did her training in clinical psychology at the University of Vermont, where she worked with cancer survivors and their families delivering evidence-based behavioral medicine interventions from time of diagnosis through end-of-life care. After completing her internship at the Vanderbilt-VA internship consortium, she entered the National Cancer Institute’s Cancer Prevention Fellowship Program and spent her first year of fellowship getting a Masters in Public Health focused on Epidemiology and Biostatistics. At the National Cancer Institute, Dr. Beckjord did her post-doctoral research in the Health Communication and Informatics Research Branch within the Division of Cancer Control and Population Sciences. From NCI, Dr. Beckjord spent three years in research consulting with RAND Corporation before spending nearly five years in academic medicine at the University of Pittsburgh and Hillman Cancer Center, where she received a Career Development Award to develop and test a context-aware mobile application for smoking cessation. In February 2015, she joined the UPMC Health Plan where she serves as the Associate Vice President of Population Health and Clinical Affairs. 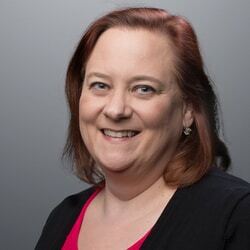 Her current work is focused on behavioral informatics and population health; specifically, the use of digital tools in clinical operations to promote health, wellness, and health behavior change. She is particularly interested in the role of consumer generated health data in an informatics-enabled learning health care system. Dr. Catherine Brisland is a Medical Director for Optima Health with expertise in government programs, specifically, Virginia Medicaid Long Term services and Supports (MLTSS). In this role, Dr. Brisland draws from her solid clinical foundation as she works to interface with providers and utilization management to provide high quality and financial management within the framework of the MLTSS Model of Care. Dr. Brisland earned her Doctor of Osteopathic Medicine from Kansas City University of Medicine and Biosciences in 1994 and her Master of Business Administration from Virginia Commonwealth University in 2017. She finished her Internal Medicine and Pulmonary Medicine training at Scott and White Hospital (Texas A&M University) in 1998 and completed her Critical Care Fellowship at the Mayo Clinic in Rochester, Minnesota in 2001. She is board certified in Critical Care Medicine and Internal Medicine and continues to practice medicine as a hospitalist. As the Director of Health and Research at Wellsource, Dr. Brittany U. Carter ensures the trustworthiness of health risk assessments by using evidence-based methods to uphold the scientific integrity of new and existing products. She also leads original research projects using large sets of observational data and represents Wellsource in publications and presentations. Dr. Carter has over 15 years of experience in evidence-based practice, specifically conducting systematic reviews used to inform health recommendations, clinical practice guidelines, and health initiatives and policies. She has a Doctor of Health Science from A.T. Still University and a Master of Public Health from Portland State University. Dr. Carter has co-authored numerous systematic reviews evaluating the benefits and harms of various prevention interventions including cancer screening, behavioral counseling, and chemoprevention. 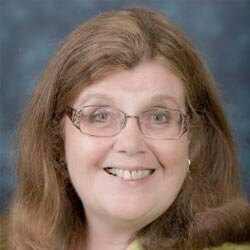 She has also published original research advancing the methods of systematic review and guideline development. As a medical professional, excellence and integrity are the values most important to Dr. Carter. “It’s so important that those of us entrusted with the wellbeing of others do our absolute best to provide meaningful solutions,” she says. When she’s not working Dr. Carter enjoys extreme sports like downhill mountain biking, skiing and snowboarding on Mt. Hood, and riding around on her ATV on the sand dunes of the Oregon Coast. Caraline Coats is Vice President of Humana’s Bold Goal and Population Health Strategy, leading Humana’s mission to help improve the health of the communities it serves by making it easier for people to achieve their best health. Coats has been with Humana for over eleven years. 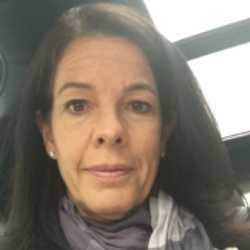 She started as a Regional Director of Medicare Operations in Arizona and relocated to Florida, where she became the Vice President of Network Management and subsequently, the Regional Vice President of Network Management for the East Region. In her role before joining the Bold Goal team, Coats served as Vice President of Humana’s Value-Based Strategies, leading the organizational advancement of innovative payment models that enable Humana to support providers as population health managers in value-based care relationships. Prior to Humana, Caraline was Vice President of Operations with a hospitalist company and Assistant Vice President of Managed Care for IASIS Healthcare in the Arizona and Nevada regions. She credits her understanding and experience working directly with physicians and hospitals for the opportunities she has had with Humana. Caraline holds an undergraduate degree in biology and a Masters in Health Services Administration from the University of Michigan. She and her husband have two sons, Michael (4 years old) and Nicholas (3 years old). Outside of Humana, Caraline spends her time with family and enjoys running. 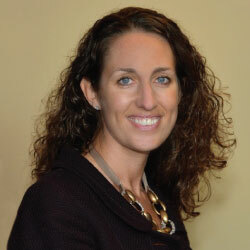 Helene is responsible for leading Tufts Health Public Plans Rhode Island Medicaid Program. 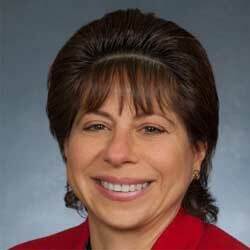 Prior to her current position, she was vice president of care management for all Public Plans members. Prior to joining Tufts Health Plan in 2014, Helene held positions in clinical program support and engagement strategy, care advocacy and medical management for Aetna, a national health plan. 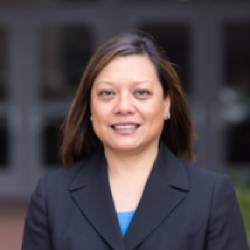 She also has served as vice president of medical operations at APS Healthcare Inc., a health management organization servicing commercial, Medicaid and state employee members, and served consecutively as manager of health programs and manager of case management for Tufts Health Plan. She began her career as a staff nurse, and has taught classes in nursing at Mount Wachusett Community College and Montachusett Vocational School. Helene earned a B.S. with a concentration in nursing from the University of Massachusetts, an M.S. in nursing from Boston University, and status as a Professional, of the Academy for Healthcare Management. 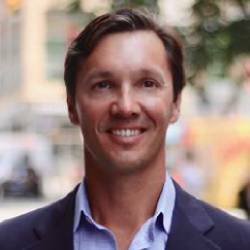 Bryan Fuhr is vice president of connected health at GreatCall, Inc. Bryan joined the company in September of 2017 and leads the commercial business development team. His team’s goal is to identify target accounts and partners in the healthcare space with businesses and end-user clients that benefit from the achievement of Triple Aim outcomes (better health outcomes, lower costs, better experiences). His team works with target accounts to develop mutually beneficial business models and agreements to reach these ends. 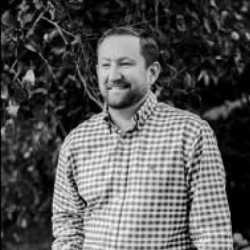 Before joining GreatCall, Bryan was a founder of Healthsense, serving in various sales, marketing, product management, and business development roles. Bryan holds a BS in electrical engineering from the University of Minnesota and an MBA from the University of St. Thomas Opus College of Business. John W. Halsey, Vice President, Business Development, Turn-Key Health, is a healthcare executive with 20+ years of experience helping organizations drive revenue by strategically assessing opportunities, developing marketing strategies and executing on sales. Previously, he served as a managing partner at AXON Strategy. He has also held business development and management leadership positions at Real Time Medicare Data, MDLIVE, Inc., and Teladoc. John is a member of the AHIP Foundation, American Telemedicine Association, ACO Development Group, the Institute for HealthCare Consumerism, MCO Executives, Urology Health Foundation and the MacJannet Foundation. He holds a bachelor’s degree in History from the University of Alabama at Birmingham. 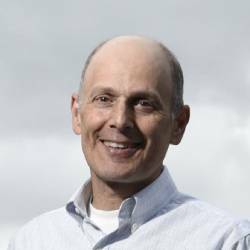 Kurt R. Herzer, MD, PhD, MSc, is the Director of Population Health at Oscar Health, a tech-focused health plan headquartered in New York City where he oversees the teams responsible for clinical prototyping and experimentation, clinical intervention design and scale, HEDIS/Stars, clinical transformation; and behavioral health. Dr. Herzer’s academic research has included the role of vitamin A in reducing childhood mortality and blindness in developing countries as well as national assessments of healthcare quality and patient safety. He has co-authored dozens of journal papers and spoken or presented at numerous national or international conferences and meetings related to health care, patient safety, and disabilities. Dr. Herzer has previously worked in the Office of Health Reform in the Department of Health and Human Services in Washington DC during the Obama Administration and at the World Health Organization in Geneva, Switzerland. He is a recipient of the Harry S. Truman Scholarship, honoring leadership and commitment to public service, as well as the Marshall Scholarship awarded by the British Government. Dr. Herzer is a graduate of Johns Hopkins University where he received his BA, MD, and PhD degrees and the University of Oxford where he received an MSc in social policy. Vice President and Chief Medical Officer for BlueCare Tennessee, a wholly-owned subsidiary of BlueCross BlueShield of Tennessee that manages care and provides quality health care products, services and information for government programs. Before assuming the chief medical officer post, James served as medical director for government programs with BlueCross BlueShield of Tennessee, where she supported medical management and administrative operations activities related to select managed statewide accounts and government programs. She also ensured compliance with government regulation and contract agreements related to these programs. 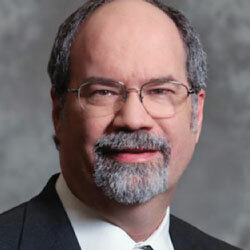 Prior to joining BlueCross, James served as medical director for Coventry Health Care of Georgia, performing prior authorization and utilization management review. She served as medical director for Bureau of TennCare for more than five years, supervising the division of quality oversight and monitoring the quality of services provided to enrollees by the contracted managed care organizations. James has more than 20 years of experience, including pediatric academic medical positions and hospital leadership roles. As chief medical officer at Tulane, James was part of the leadership team on-site during Hurricane Katrina and its aftermath. She helped to safely evacuate over 200 patients and 1500 staff during the one week disaster. In 2006 and 2007, James was a consultant and speaker on issues related to experiences during Hurricane Katrina, with emphasis on disaster readiness. James is a member of American Association of Physician Leadership, Tennessee Public Health Association, and a fellow of American Academy of Pediatrics. She is board-certified in general pediatrics.c James earned her Doctor of Medicine degree from University of Alabama School of Medicine and completed a residency in pediatrics at Tulane Medical School. She earned her Bachelor of Arts degree in physics and anthropology from Emory University. She received the Friend of Children Award from American Academy of Pediatrics in 2008, Certificate of Appreciation from Tennessee March of Dimes in 2009, and Innovations for Children and Families Award from Tennessee Voices for Children in 2010. 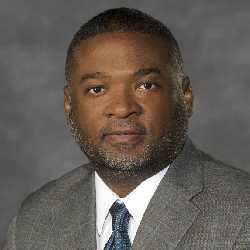 Dr. Johnson joined Virginia Premier Health Plans (VPHP) as the new Chief Medical Officer in June 2017. Dr. Johnson leads medical and behavioral health management as well as clinical and quality-related activities for all product lines. Dr. Johnson is responsible for utilization management, care coordination, long-term support services, quality improvement, accreditation, credentialing, pharmacy, appeals and grievances, health services, behavioral health services and medical policy. Prior to Virginia Premier, Dr. Johnson served as the Senior Medical Director for WellCare of Georgia for three years. In that role, he was responsible for overseeing the clinical direction of medical services, quality improvement and performance outcomes for over 580,000 Managed Medicaid members and 38,000 Medicare Advantage members. He provided medical leadership for effective clinical integration of services which included pharmacy operations, utilization review, care management, behavioral health and quality improvement. Under Dr. Johnson’s leadership, WellCare successfully won its procurement bid for the State of Georgia’s new Managed Medicaid contract. Prior to WellCare, Dr. Johnson was with Blue Cross Blue Shield of Georgia serving as Medical Director supporting utilization review and care management for over 600,000 state employees under the State Health Benefit Plan (SHBP). Earlier in his career, Dr. Johnson owned and operated an Internal Medicine practice in Atlanta, Georgia for over 14 years where he focused on treating patients with acute and chronic medical conditions. One of his major areas of clinical interest has been treating patients with Diabetes. John graduated from Rutgers University New Jersey Medical School and completed his Internal Medicine residency training at Emory University in Atlanta, Georgia. He earned his MBA from Emory University School of Business with a focus on Healthcare Management. 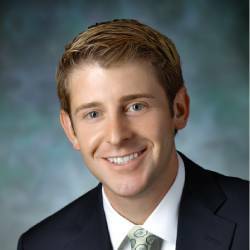 Dr. Johnson is Board Certified in Internal Medicine and he is also a Fellow of the American College of Physicians. He holds active medical licenses in Virginia, Georgia, Florida, South Carolina and Alabama. John has been married to his lovely wife, Donna, for 16 years and he has also served his country as a Colonel in the United States Army Reserves Medical Corps for 22 years. Dr. Kevin is an eminent physician with over 25 years of experience behind him filled with numerous achievements and milestones. He was previously working as a Palliative Care Physician at The Permanente Medical Group. One of his greatest achievements include the creation of Value based benefit design for Providence Health Plan where he held the position of a CMO. Moreover, he was the chief of Medicine at Kaiser Permanente. 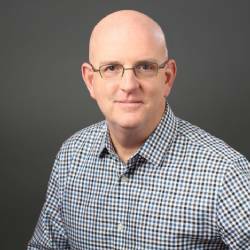 Dr. Keck has joined SCIO Health Analytics® as our Chief Medical Officer and will lead the Clinical Analytics development team. His responsibilities will include assessing the leakage and the impact of quality and cost in Provider Analytics. He will also provide us with his valuable insights on prescriptive analytics to measure the impact on therapeutic drug classes based on member risk levels. Moreover, he will also play a role in enhancing SCIO’s behavior economics model. 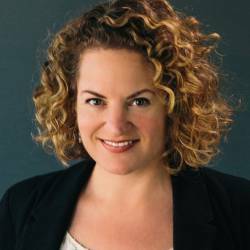 As Chief Marketing Officer at mPulse Mobile, Paige leads the marketing and go-to-market strategy for the company, including brand strategy, thought leadership, demand generation, product marketing and design. With over 20 years’ experience in consumer-centric digital technology, her experience has ranged from fortune 500 companies to dynamic startups. 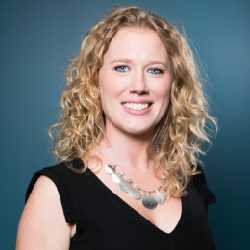 Prior to mPulse Mobile, Paige lead the Healthcare Division at Archer Mobile and held senior marketing roles in global technology companies She holds a B.A. in Sociology from University of California, Davis and an MBA from University of Texas, Austin. 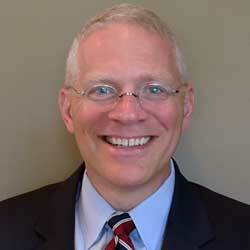 Seth Morris is the Director of Government Business Payment Models at Anthem, Inc. He works with healthcare providers and internal leadership to drive positive change and improvement in the healthcare delivery ecosystem. Passionate about healthcare and finance, provider network activities was a natural fit. After several years in various leadership and provider-facing roles, Seth firmly believes that the right mix of transparency, incentives, accountability, and collaboration can create an environment where all involved parties can thrive and benefit. A process-oriented and calculated risk-taker, Seth has led exponential expansions in value-based payment model saturation, drastic efficiency improvements, and deeper partnership models with our provider populations. Throughout his 6-year tenure at Anthem, Seth has built a reputation for developing and executing new business strategies, turning around failing operations, and building sustainable relationships. Seth holds a bachelor degree in Finance from Virginia Tech and masters degree in Business Administration from Old Dominion University. Prior to Anthem, Seth led the P&L functions of Wolseley PLC’s US based commercial banking operation in Virginia, North Carolina, and South Carolina and has 12+ combined years of experience in leadership, healthcare, and finance. Steven R. Peskin, MD is the Executive Medical Director Population Health at Horizon Blue Cross Blue Shield of New Jersey. His expertise encompasses physician leadership, medical delivery management, performance improvement in health care, contracting; applications in technology include mobile/social media, clinical/scientific communications for health care professional and consumer audiences. 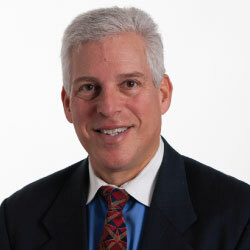 Dr. Peskin is the former Executive Vice President and Chief Medical Officer for MediMedia USA, CEO of Pharmaceutical Research Plus, President/COO of Nelson Managed Solutions and has worked in multiple executive positions in health plans at PacifiCare Health Systems, CIGNA Healthcare, and John Hancock. Dr. Peskin has authored industry and scientific articles, book chapters and spoken at various conferences and events about physician leadership, the medical home, mobile health and social media. Dr. Peskin is an Associate Clinical Professor in the Department of Medicine at Rutgers Robert Wood Johnson Medical School. He is a clinical preceptor at The Eric B, Chandler Clinic for interns and residents in Internal Medicine. Dr. Peskin assists with the Population Health and business of medicine training for the Rutgers RWJ Internal Medicine physicians in training. Dr. Peskin is a Diplomat of the American Board of Internal Medicine and a Fellow of the American College of Physicians, serves as Governor for the Southern Region of the ACP in New Jersey, Board of Trustees for Friends of the National Library of Medicine, editorial advisory boards of The Journal of Population Health Management and Managed Care and is a Senior Scholar in the School of Population Health at Thomas Jefferson University. His community service includes the Boards of the Greater Donnelley Neighborhood Initiative and Young Audiences of New Jersey. Dr. Peskin received a bachelor’s degree from The University of North Carolina Chapel Hill and a medical degree from Emory University School of Medicine. He completed residency at Saint Elizabeth’s Medical Center in Boston and holds an MBA from the Sloan School of Management at Massachusetts Institute of Technology. Dr. Maria Pugo is an accomplished public health professional with extensive involvement across several sectors in healthcare administration. As a lead for numerous access-to-healthcare initiatives, Dr. Pugo has been an integral part in the collaborative efforts in bridging the gap of health equity across the region. At Inland Empire Health Plan (IEHP), a not-for-profit Medi-Cal and Medicare health plan and one of the fastest-growing health plans in the nation, Dr. Pugo provides leadership in research and evaluation. Alongside a team of healthcare data analysts and doctoral fellows, she delivers analytical and programmatic support to the organization. Originally from Los Angeles, Dr. Pugo’s educational career has provided her residence across California – San Bernardino, San Diego, and San Francisco exposing her to the diversity of public health and adding to her appreciation of resource-based collaborative efforts and research focused on disease prevention. 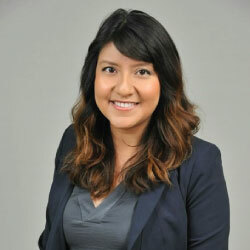 She has a Doctoral Degree in Public Health with a focus on Healthcare Policy and Leadership from Loma Linda University. 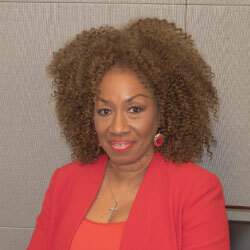 Oraida Roman, MA, serves as Vice President of Value Based Strategies for Humana. Her experience with Humana spans more than 17 years, holding various management roles, including Provider Contracting Manger, Director of Operations and Regional President. Prior to being Vice President of Value Based Strategies for Humana, Oraida worked for several years with DaVita Medical Group as the Chief Operating Officer of Florida and Market President of Colorado. Oraida holds an undergraduate degree in biology from Florida State University and a Master's in Health Administration from University of South Florida. Jacob Reider, MD, FAAFP works at the intersection of health and IT to motivate and empower communities to think differently about how they can best promote the health of their members. As chief executive officer at Alliance for Better Health, Jacob focuses on galvanizing the medical community to realize and capture the potential of the evolution from volume-based care to value-based health. 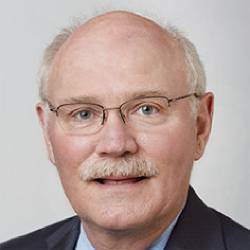 A family doctor since the early 1990s, he understands the challenges medical providers face and leverages technology to foster improved communication and data-driven solutions for population health needs. 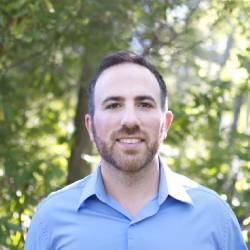 In addition to practicing family medicine, Jacob is experienced working and teaching in academia, launching multiple successful start-up organizations, collaborating with entrepreneurs and investors and working in the state and federal governments. While deputy national coordinator and chief medical officer of the Office of the National Coordinator for Health Information Technology, a staff division of the U.S. Department of Health and Human Services, Jacob helped to design and build the nation’s electronic medical records system. He has also consulted with the New York State Department of Health on health IT strategies, where he was first introduced to DSRIP and Alliance. Jacob holds a Doctor of Medicine from Albany Medical College and a Bachelor of Arts in cognitive science from Hampshire College. Jacob passionately promotes innovation; seeing experimentation and risk-taking as critical to forming new business models that will shift the economics of health. As Alliance continues to foster collaborative environments in which physicians, nurses, care team members and patients are encouraged to be creative, each achievement will be a powerful endorsement, regionally and globally, of the power of innovation. 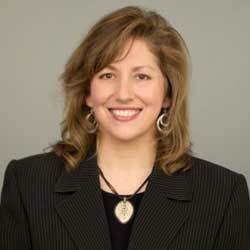 Catherine Serio, Ph.D., Senior Director, Lifestyle Interventions, UPMC Health Plan. 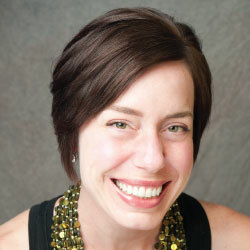 Dr. Serio is translational behavioral scientist and licensed health psychologist. At UPMC, she oversees the design, deployment, and evaluation of lifestyle interventions for a population of 3.4 million members. The flagship program, UPMC’s My Health Coach Academy, is one of three payors with an embedded training and quality assurance program. The Academy offers five lifestyle programs – Smoking Cessation, Stress Management, Weight Management, Nutrition, and Physical Activity – across all lines of business. Prior to joining UPMC, Dr. Serio served as a medical educator at the University of Washington, a healthcare consultant for payor and provider organizations, and a product innovator for Healthwise, Inc.. She is a member of the Motivational Interviewing Network of Trainers, an international organization committed to promoting motivational interviewing. 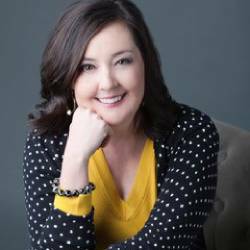 A published author, her latest chapter, “The Science and Practice of Health Behavior Change,” appears in the 2016 HIMSS book, Participatory Healthcare: A Person-Centered Approach to Healthcare Transformation. Lisa Truitt is the Director of the Health Care Delivery Management Administration at the DC Department of Health Care Finance (DC DHCF). In this role, Lisa monitors performance of service delivery to residents enrolled in the District of Columbia Medicaid managed care and non-waiver fee-for-service (FFS) programs. The managed care contracts are priced at over $1B, across three risk-based managed care organizations (MCOs) and a single shared-risk special needs organization. Lisa is responsible for policy development, program administration, planning, implementation and evaluation of performance by the MCOs, FFS providers and staff. Ms. Truitt has many years of experience within the healthcare industry, ranging from claims processing to Quality and Disease Management in both commercial and Medicaid Managed Care. This range of experience has been the cornerstone for maneuvering through the ever-changing health care industry. 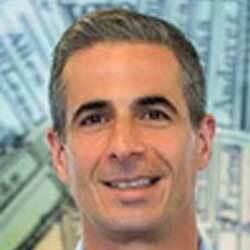 Michael Zagami is the Senior Director of TPM Product Innovation at HMS Eliza. For over 12 years, Michael has worked closely with most of the major health plans across the country, providing consultations on how best to leverage data, segmentation, outreach, and technology to achieve better outcomes. Passionate about inspiring behavior change, Zagami leads product strategy, planning and development initiatives across HMS’ Total Population Management suite – including Care Management, Risk and Analytics, Engagement and Intervention. Zagami is also currently working on completing his MBA in Marketing and Consumer Behavior from UMass Amherst’s Isenberg School of Management. Zagami is an active member of The American Society of Composers, Authors and Publishers (ASCAP). Zagami holds a Bachelor of Arts degree in Communications with concentrations in English and Writing for Mass Media from Gordon College.